On our way home from Palm Springs we took a little detour to the Walt Disney Family Museum in San Francisco, a place I wanted to visit during my last time to San Fran, but didn’t make it to. The decision to go was somewhat spur of the moment, made in the late evening the night before we were to check out of our hotel, as we brainstormed ideas on what to do on our way north, and it was the best decision I believe! I will be honest, I really dislike photographing museums (one of the reasons there were not photos from Griffith Park’s Autry), but the Walt Disney Family museum proved to have too many treasures in it not to photograph. I dealt with low lighting, slow shutter speeds, reflective glass, and new tools in Lightroom to capture the glorious artifacts housed in the museum. The Walt Disney Family Museum occupies two former barracks along the Presidio, a larger building housing the main portion of the museum, and a smaller one that is a rotating gallery, named Diane Disney Miller. We entered the Miller hall first to view original works by artist Mary Blair. Blair was a wonderful concept artist who was involved in many classics, including Peter Pan and Alice in Wonderland, and was part of “El Grupo” that traveled to South America, creating concept art worthy of hanging in fine art gallery. 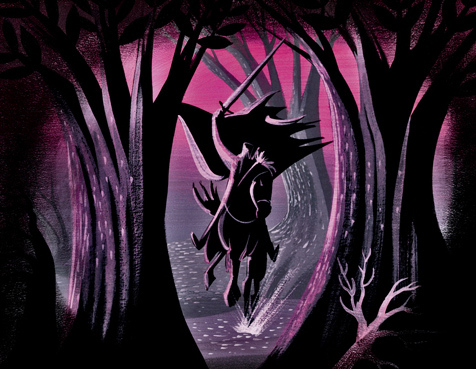 I have long admired her work, and she is responsible for one of my favorite Disney pieces, this concept image for The Legend of Sleepy Hollow, which I was disappointed wasn’t in the gallery, however many wonderful other pieces were, including a darling one from one of my favorite shorts, Suzie the Little Blue Coupe. Blair is best known for her work on the attraction it’s a small world, which is utterly and completely her, and the gallery included concept work, original mock-ups for the attraction’s dolls and much more. After emerging from the world of Mary Blair we entered the main museum. The lobby of the museum is home to many of the numerous awards Disney and his team won over the years, including Oscars, but perhaps the most wonderful sight to see was original furniture that once lived in the apartment above the fire house in Disneyland. The museum covers Walt Disney’s life, including many wonderful old family images, unique and fun animations using narrations Disney gave in interviews about his life, chronically his childhood and move to California and the early days of his career as an animator, working its way to the creation of the studio, and showcases the technological advancements his team made with bringing the Technicolor process to animation, the development of the multiplane camera (and there is even one there!) through to the creation of Disneyland, and includes many wonderful family mementos, including the small train that once ran around their family home, and images. Perhaps my favorite portions of the museum were sketches from my favorite animated short, Ferdinand the Bull, the saddle used in Zorro, one of the few items that highlighted one of my all-time favorite shows (other bits of Zorro included a child’s costume, as well as scenes from the show being played on multiple televisions in the area that covered Disney’s embracing of the television medium), and the large Disneyland diorama. The diorama was quite interesting as it attempts to cover a pre-1980s Disneyland, but not really portraying any year in particular, as there are inconsistencies throughout, the House of Tomorrow is present, which lasted from 1957 to 1967, Flying Saucers are showcased, which lasted from 1961 until 1966, while along side it is Space Mountain, which opened in 1977. All of New Orleans Square is there, and the area extends into the Indian Village, which existed before Bear Country (now Critter Country) moved in in 1972. I overheard a museum staff member say that if she were to pick a year that the diorama best represents, it would be 1969. The gift shop was a treasure trove too! I walked out with a book and two pins, a Sleepy Hollow one and a Ferdinand one. Though I could have easily walked out with half the shop! I am so pleased we chose to go to the Walt Disney Family Museum, as it was a true joy and I highly recommend it if you are a fan of the works of Disney and Disneyland. I thought it artfully showcased the struggles and achievements of Disney himself, and his studio during his lifetime. I would love to visit again and again! 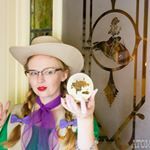 A note to the darling fellow Disney/vintage loving gal who works at the museum who e-mailed me after my last visit to San Francisco, and whose name I cannot recall, I did not forget about you! I simply couldn’t find the e-mail! I am so sorry! Please forgive me! We loved this place soooo much! we spent almost 5 hours there and we didn’t even get to see and read everything we wanted to! It’s truly an amazing place the family has done a great job! Well, wasn’t that just the perfect place for you! I can tell you are having a blast. I was just visiting my friend in SF and did not realize that May Blair was the exhibit. I have been kicking myself for the past few days. Another visit before the end of the exhibit is a must! Thank you for sharing!! It looks like such a fun place to visit!!! I hope I get to visit it one day. Very nifty! I’ve been to SF a number of times and never knew the place existed. I’ll have to put it on the itinerary for the next trip I get to make. These images are so immensely engaging! I was especially taken by the jars of coloured paint (ink? pigment powder?). I adore that you opted to shoot in this museum and that you shared the results with us. I get so see so many amazing places that I might otherwise never (or not at least from the perspective of a dear friend) through your awesome travel posts. So fun! I love Disney, im kicking myself for not knowing this was here when i was in san Francisco last. Isn’t it the best?!! I love that place!! Even the location of the museum is perfect! Such lovely views!! I’m so glad you got to visit!